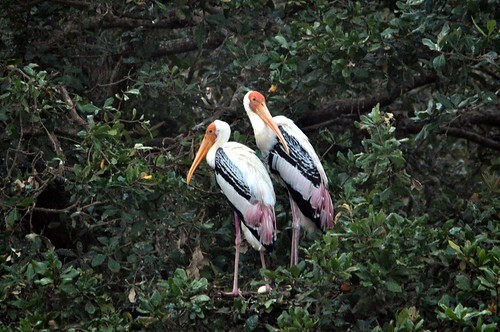 Situated about 80 Km from Chennai is Vedanthankal bird sanctuary. 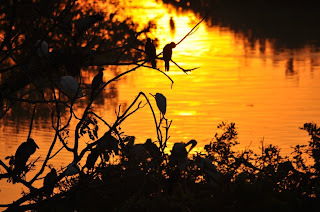 The sanctuary is located in the Kanchipuram district of Tamil Nadu and is spread over 70 acres. Vedanthankal or the hamlet of the hunter (in Tamil) was a popular hunting spot for local landlords. Today it is a heaven for migratory birds. The sanctuary is well maintained and the sanctuary has a few observation decks from where one can get a clear view of the birds. It attracts locals, tourist and many ornithologists. The place is well connected by road. One can take a bus or get to Chengalpet by train and catch a bus from there. Or you can hire a cab to take you to and fro. If you have your own vehicle then you are in for a treat. You will be no NH 45 for the most part depending on where you start from. It you were to start from OMR and cut across to NH 45 the road is great. The connecting road from NH 45 to the sanctuary is also good but don't be expecting to do over 80km/hr like you were on the highway. There are fields and mango groves along the way. There are also temples along route which are worth a visit especially one on top of the hill. If you have photographic interest then evening time is preferable as the sunlight comes from behind unlike in the morning where you would be looking directly into to sun. Also there is a slight mist/haze in the morning.